Gerald “Jerry” Michael Barber went home to be with the Lord on November 4, 2018. Jerry was preceded in death by his Father Bevert LeCoy Barber, his Mother Mary Louzelle Michael Barber Lassiter, his brothers Charlie, Alvin, LeRoy and Ronnie along with his sisters Grace Skinner and Dorthy Jean Williamson. Jerry was survived by his brothers, Jimmy and Wayne and his sisters Annie Sue, Rebecca and Beverly. Jerry married Jeannie Kent, Janet Chadwick and Debora Barnett (deceased) and had twin sons, Mitch and Mike Barber and had two daughters Kim Barber Towns and Christy Barber. Jerry had eight grandchildren Brie Randall, Christopher Barber, Bryse Towns, McKenzie, A.J., Jeremiah, Jacob and Madison Arnold and four great grandchildren, Knox, Cylor and Pierce Randall and Cian Towns. 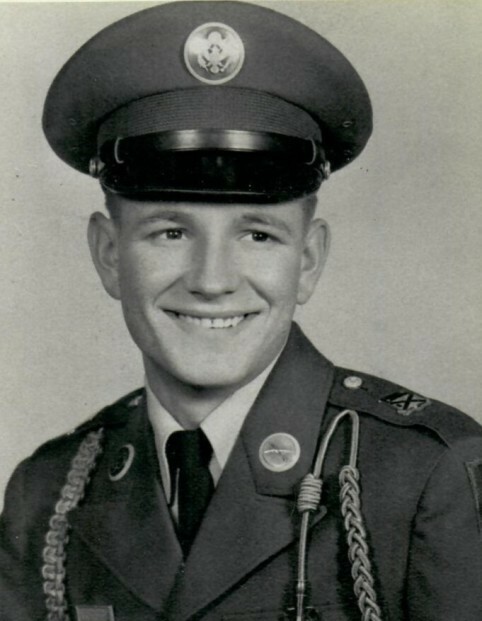 Jerry was awarded the Bronze Star Medal with “V” for Valor in June 1966 for heroism in connection with military operations against a hostile force in Dau Tieng, Vietnam. He was in 1st Infantry Division; Company A, 2nd Battalion, 18th Infantry. The family will receive friends Friday, November 9th from 5-8 p.m. A celebration of life will be held Sunday November 11th at 2:00 p.m. in the chapel of Lord and Stephens, East.